You are browsing the archive for robert fludd. Between 1617 and 1621 the English physician and polymath Robert Fludd published his masterwork Utriusque Cosmi, a book split into two volumes and packed with over 60 intricate engravings. Urszula Szulakowska explores the philosophical and theological ideas behind the extraordinary images found in the second part of the work. Robert Fludd was a respected English physician (of Welsh origins) employed at the court of King James I of England. He was a prolific writer of vast, multi-volume encyclopaedias in which he discussed a universal range of topics from magical practices such as alchemy, astrology, kabbalism and fortune-telling, to radical theological thinking concerning the inter-relation of God with the natural and human worlds. However, he also proudly displayed his grasp of practical knowledge, such as mechanics, architecture, military fortifications, armaments, military manoeuvres, hydrology, musical theory and musical instruments, mathematics, geometry, optics and the art of drawing, as well as chemistry and medicine. Fludd used the common metaphor for the arts as being the “ape of Nature,” a microcosmic form of the manner in which the universe itself functioned. Fludd’s most famous work is the History of the Two Worlds (Utriusque Cosmi … Historia, 1617-21) published in five volumes by Theodore de Bry in Oppenheim. The two worlds under discussion are those of the Microcosm of human life on earth and the Macrocosm of the universe (which included the spiritual realm of the Divine). Fludd himself was a staunch member of the Anglican Church. He was educated in the medical profession at St. John’s College in Oxford. In 1598-1604/ 5 he set out for an extended period of travel on the continent. He spent a winter with some Jesuits, a Roman Catholic order deeply opposed to Protestantism who, nevertheless, tutored Fludd on magical practices. Fludd, however, always claimed to have worked out the theological and magical systems in his first volume of the Utriusque Cosmi … Historia, concerning the Macrocosm (1617), during his undergraduate days at Oxford. 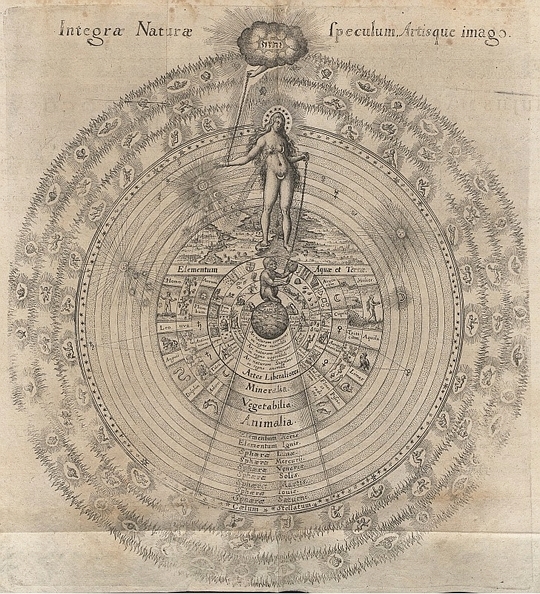 In this work Fludd devised a lavishly illustrated cosmology, based on the chemical theory of Paracelsus, in which the materials of the universe were separated out of chaos by God who acted in the manner of a laboratory alchemist. Fludd was a deeply convinced adherent of the medical and magical practice of the German doctor, surgeon and radical theologian, Theophrastus Paracelsus von Hohenheim. This loyalty led Fludd into severe conflicts with the established British medical profession. His later publications described a medical practice, almost devoid of chemical remedies but which depended almost solely on prayer and the use of the name of Jesus on the model of the first apostles of Christ. This devotional medicine was supported by a theology derived from the secret mystical teaching of Judaism, the kabbalah, which Fludd employed in a Christianised form derived from the ideas of the German philosopher, Johannes Reuchlin. In his medicinal incantations Fludd used the Hebrew form of the name of Jesus which, he claimed, possessed immense magical potency. He equated Jesus Christ with the kabbalistic angel Metattron, the heavenly form of the Jewish Messiah, (UCH, 2 1621: 2-5). He was said to be the soul of the world, pervading it through-out (“anima mundi”), or Anthropos (UCH, 2 1621, Tract II, Sect I: 8-9). Fludd states that “Hochmah” (Wisdom in the kabbalistic Tree of Life) is the same as the “Verbum” (the “Word” in the Christian Gospel of John who is identified with Jesus Christ). The Christian “Word” is the same as the first letter of the Hebrew alphabet, “Aleph. This Christian Messiah is the most potent medicine for all human ills. The “Verbum”, or Metattron-Christ-Messiah, is the form of God himself, residing in the the sun. In Fludd’s medical theories the operation of the aerial nitre, or quintessence, in the human body was of critical importance to health. It was said to originate in the tabernacle of the aerial spirit which was the sun. The essence of the aerial nitre was celestial light. It was breathed in by the lungs and carried to the heart, where it was separated from the air and dispersed as the vital spirit through-out the body. In his short text, the “Tractatus de Tritico” (the “Tractate on Wheat”) , which re-appeared in his Anatomiae Amphiteatrum (1623) and also in the Philosophia Moysaica (1638), Fludd described the distillation of the aerial nitre from the wheat using the heat and light of the sun’s own rays. Fludd claimed that this distilled spirit was the universal panacea, whose generative celestial fire had been drawn out of the sun. 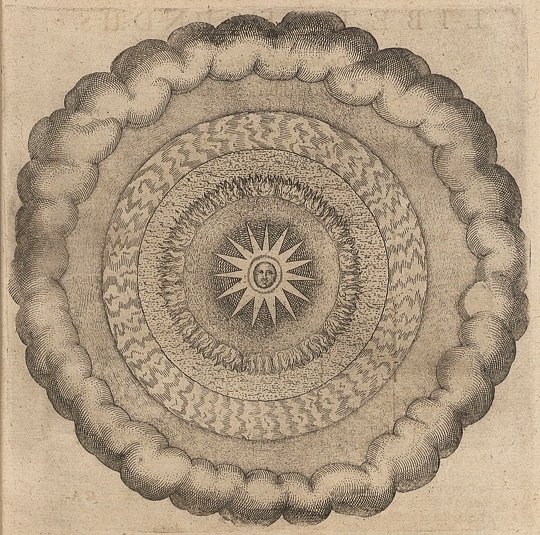 All of Fludd’s treatises were lavishly illustrated with extraordinary engravings, unique in their form and subject-matter, which have the visionary quality of a genuine spiritual seer and which exerted an influence on his contemporary occultists such as Michael Maier, Jacob Boehme and Johannes Mylius. Fludd himself designed these images and they were engraved by the artisans employed at his publishers. (Some of his own original drawings still exist for the first volume of the Utriusque Cosmi … Historia, 1617). 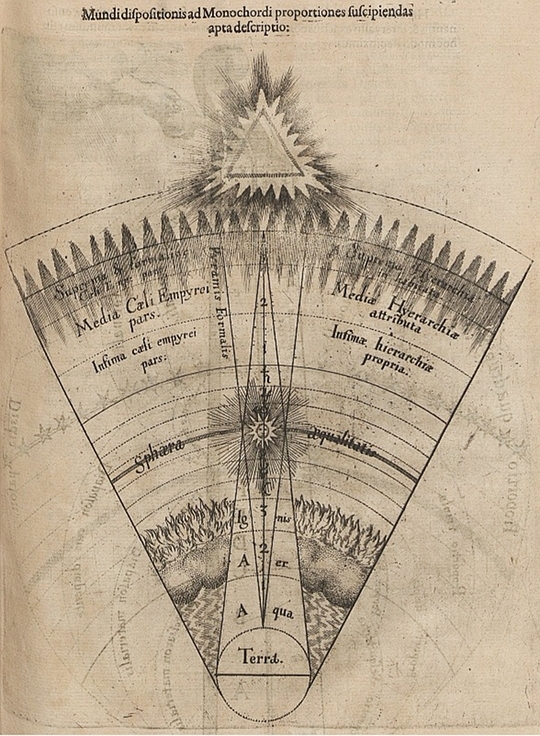 Fludd’s concepts of the creative and healing forces of light were illustrated by diagrams, the principles of light and darkness being represented by two intersecting cones, or pyramids. The base of the “pyramidis formalis” was placed in the Empyreum of God, signifying rays of divine light, while the base of the “pyramidis materialis” was located on the earth pointing upward towards God. 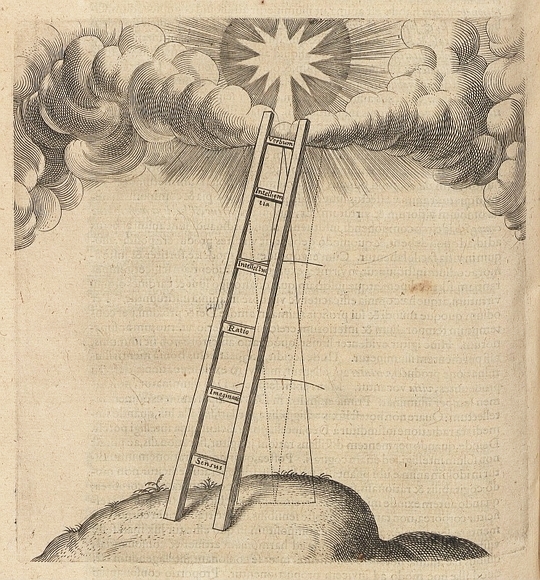 Fludd described these diagrammatic forms as “pyramides lucis”, “cones of light,” claiming to have invented them himself, although they seem to be based on antique and medieval optical theory. Within the lozenge shape created by the intersection of the downward and upward pointing cones, Fludd placed the sun, since the nature of this sphere balanced the oppositions of spirit and matter, male and female, sulphur and mercury. From the outset in the “Macrocosm” (UCH, 1617) Fludd’s cosmogony was based on the three generative principles which were those conceptualised by Paracelsus in his own alchemy, namely, those of light, darkness and water, from which emerged the three primary elements that constituted matter, that is, Salt from darkness (as the “prima materia”), Sulphur from light (as the soul) and Mercury from water (as the spirit). These, in turn, produced the four qualities of antique and medieval physics, the qualities of heat, cold, dryness and moistness. Fludd’s alchemical cosmology was explained by a series of intricate geometrical diagrams of great power and beauty. In the third book of the “Macrocosm” Fludd also offered another interpretation of the structure of the universe, complementing his earlier alchemical visualisations, but expressed musically. He analysed what he claimed to be the “Musica Mundana”, the musical forms that pervaded and structure universal creation based on the musicology and mathematics of the ancient Greek, Pythagoras (UCH, 1, 1617, pp. 79-81). The fifth chapter of the “Musica Mundana” included an illustration of a cosmic lyre. 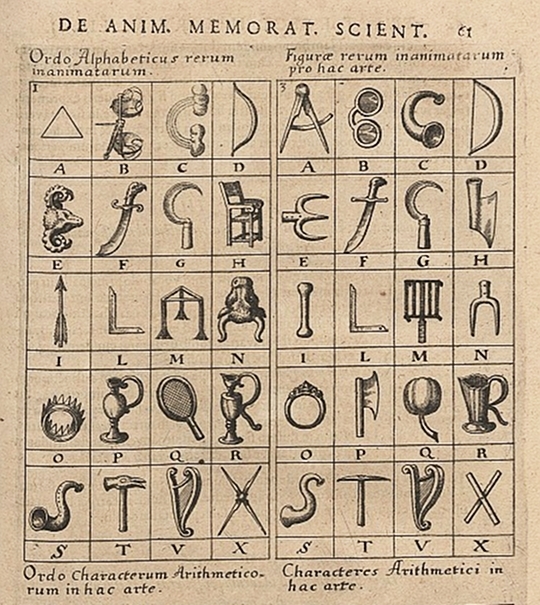 Fludd achieved a certain notoriety in his own time for his early support of the “Rosicrucian Manifestos” in his treatise the Apologia (1616) (expanded into the Tractatus Apologeticus, 1618). The two texts, which came to be called the Rosicrucian Manifestos, consisted of the Fama which appeared in 1614, followed by the Confessio in 1615. They were published anonymously in Kassel and they have been the subject of extensive debate in regard to their origins and authorship (see Donald R. Dickson, The Tessera of Antilia (Leiden: Brill, 1998), pp. 32-36). The authors never revealed themselves but they called for supporters to join the Rosicrucian movement, claimed to have been in existence for centuries. Those who responded by publishing letters to the Rosicrucians were a heterogeneous group of Protestants, mostly of a radical reformist character, as well as adherents to antique philosophy and magic (kabbalists, followers of Hermes Trismegistos – a mythical Egyptian sage, as well as practitioners of magic on the model of Cornelius Agrippa (a sixteenth century German sage) and of Paracelsus.v The Manifestos seem to have been written to counteract the re-conversionary activities of the Jesuit order in central Europe. Said to be supporters of a legendary figure of the fourteenth century, Christian Rozenkreutz, there never did exist in reality any such entity as the Rosicrucian Order in the seventeenth century. It could be said, however, that there did exist a popular Rosicrucian movement whose supporters developed the original ideas of the founders and in which Fludd’s influence was a dominating factor.